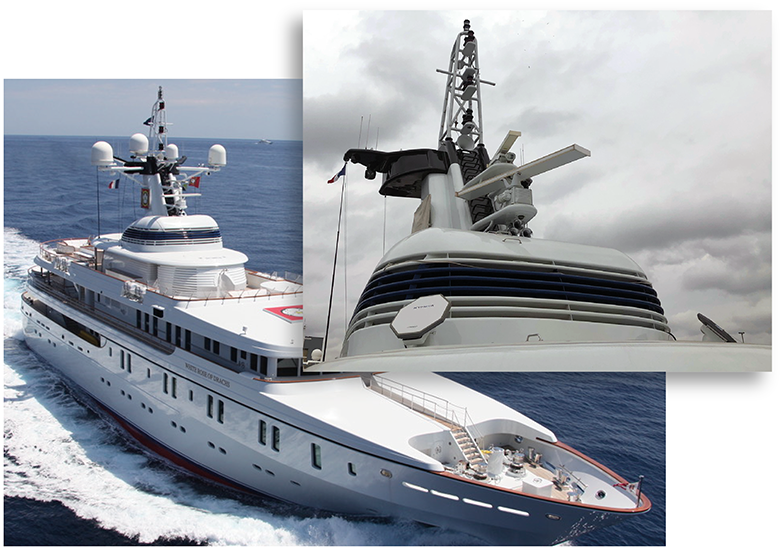 After working closely with e3 during the sea trials of the Kymeta flat panels, the owner and captain of the 65m White Rose of Drachs made a big decision; to remove the yacht’s original domes and to embrace flat panels for their VSAT connectivity. Her domes – one TV and two VSAT – were permanently removed in France and replaced with four Kymeta flat panels. The move resulted in a weight saving of between 1.5 and 2 tonnes as well as transforming the appearing of the White Rose and ensuring she enjoys real standout among her peers. To mark this transformation, Captain Andrew Schofield hosted a roundtable lunch aboard the White Rose to discuss the development of the flat panel and the reasons behind the decision to go flat. 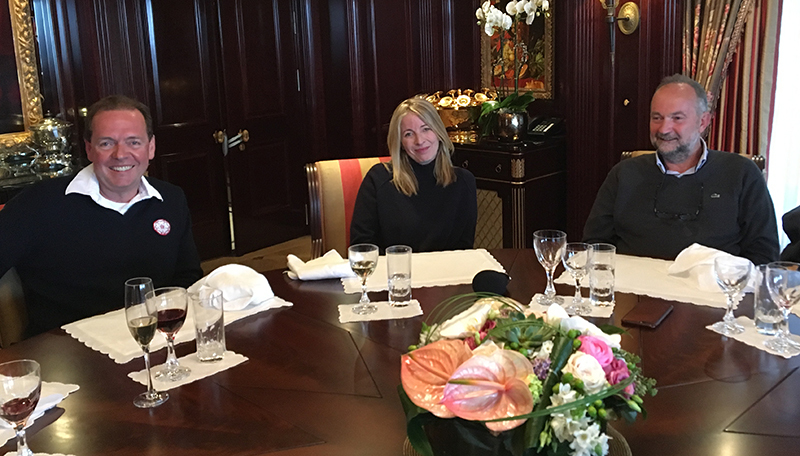 There was lively discussion over lunch with guests from several media outlets including Sarah Lycett from Riviera Radio, Sven Sunberg, CEO of Media Broadcast Satellite – our partner in the launch of eSAT airtime for the panels, Mikala Johnson, Solutions Engineering Manager at Kymeta Corporation and Roger Horner, Group MD of e3. Listen to the Riviera Radio interviews with Mat Cros, e3 Group Sales Direct and Andrew Schofield, Captain of White Rose of Drachs.